What Is a Ballistics Examiner? Ballistics examiners analyze guns and bullets to help investigators solve crimes. 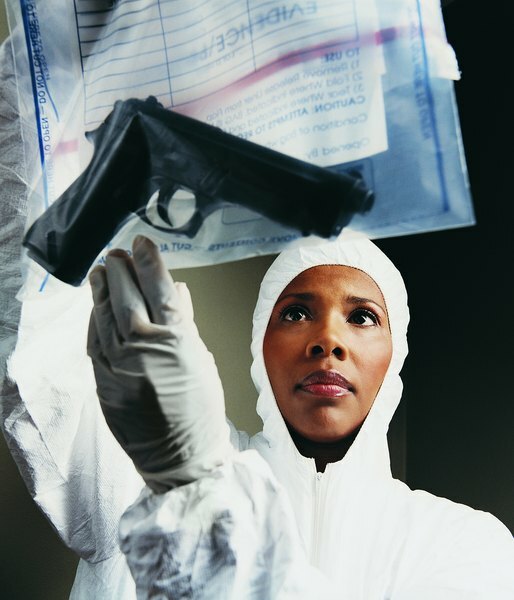 For ballistics examiners, crime-solving isn't just a shot in the dark. Ballistics examiners, also called firearms examiners or ballistics experts, are investigators who study guns and bullets to determine whether or how a crime happened. From using lasers to trace bullet paths to applying chemicals to restore destroyed serial numbers, ballistics experts apply scientific methods to firearms analysis. You can learn those techniques through a variety of training and education programs. Ballistics examiners analyze firearms. If a firearm is at the center of an investigation, they fire the gun to determine if it could have fired any bullets found at the scene, or if it could have discharged accidentally. They also check the working condition of the firing pin, safety mechanism and trigger pull. Plus, they note aftermarket modifications, such as a sawed-off barrel. 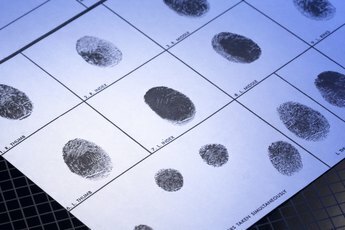 If criminals try to hide a gun’s origins, ballistics examiners use chemical solutions to restore destroyed serial numbers. Bullets tell important stories. Ballistics examiners interpret those tales. Because every gun has a distinct surface inside its barrel, ballistics examiners look at bullets under a comparison microscope to spot fine lines, grooves and other characteristics that identify a gun’s signature striations. To help their analysis, examiners consult databases to match bullets with pictures of cartridge cases and bullets from test fires of recovered weapons. Some crime labs also ask ballistics examiners to study markings on tools including pry bars, bolt cutters, screwdrivers and knives. Ballistics examiners find clues in what happens to a bullet once it leaves the barrel of a gun. They test-fire recovered firearms to determine distance between gun and target, which can tell them whether a shooting was self defense, an accident, a suicide or a homicide. With rods and lasers, examiners lay out the flight path of a bullet, which can reveal where shooter and victim were when the gun fired. Ballistics experts also look at gunpowder residue for key clues. With infrared photography, they can see small traces of powder or soot around a bullet hole. The size of the pattern can pinpoint shooting distance. Plus, examiners use chemical tests to look for gunpowder burns on suspects’ hands. Once they complete their analysis, examiners testify in court, explaining to juries and judges how guns and ammunition work, and whether they meet the legal definition of a firearm. Experts also answer questions about whether a gun could function the way a defendant or prosecutor contends. They point out illegal modifications to a weapon, and say whether its components worked. To testify, examiners should know state firearms laws, including whether certain bullets or guns are illegal. Plus, they have to be able to present technical information in terms laypeople can understand. To become a ballistics examiner, you can take several educational paths. 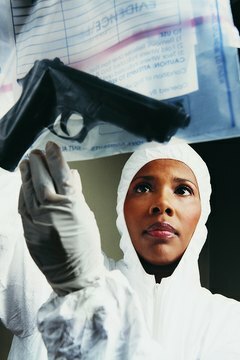 Many crime labs prefer you have an undergraduate degree in chemistry, physics or a related field. However, should your bachelor's be in another area, some allow you to learn mostly on the job -- with some additional classroom study. Some employers may send you to training seminars through the FBI or the Bureau of Alcohol, Tobacco, Firearms and Explosives. Also, firearms manufacturers offer courses in how they make weapons, and how to spot a modified or malfunctioning gun. States don’t have licensing standards, but the National Association of Firearms and Toolmark Examiners certifies experts in firearm evidence examination and gunshot residue evidence. To gain this, you must pass a written and practical exam. 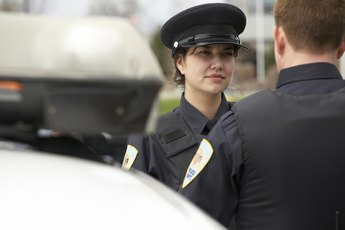 Plus, you would need a bachelor’s degree in a science-related major, such as forensic or physical science, as well as three years’ experience as a court-qualified ballistics examiner. Ashworth College: What Does a Ballistics Expert Do?